PIMACOC EIRL is a Peruvian clothing manufacturer based in Lima, Peru and specializes in producing high quality garments to export worldwide. We offer a high quality manufacturing which is complemented by the use of high quality materials; we work with Extra-Long Staple and Long Staple cotton qualities: Peruvian Pima Cotton (ELS), Supima Cotton (ELS), Tangüis Cotton (LS) among other good quality cotton and fiber varieties to be capable of attending to different and multiple markets. We offer OEM Service or Full Package so our customers can have their garments fully customized and delivered ready to sell!. All our productions are made to order, we manufacture according customer's specifications. At PIMACOC we offer the lowest minimums possible within the industry for fully customized orders and besides we offer flexibility to help to put together an order according to specific needs. PIMACOC EIRL is a Peruvian textile company established in 2007. We manufacture high quality clothing made of the highest quality materials found in the world shuch as the Peruvian Pima Cotton which is the top quality cotton in the textile industy and in the fashion market. We have the capacity to produce knitted garments, sport garments, woven garments and also knitwear. This business was born after working several years in the textile industry and learning very well how the fashion market operates and what are the main needs of the most demanding customers in the world. Our staff is highly trained and have wide experience in the industry as we also work in partner with the best local services and suppliers of the best materials, so we are able to manufacture and offer a finished product of the highest quality to sell worldwide. Pima (Gossypium Barbadense) is a generic name for Extra-Long Staple (ELS) cotton grown in few locations around the world and in very limited production. Peruvian Pima Cotton is the finest variety of Pima due to it is grown in an unique and perfect climate conditions in Northern Perú, close to the Equatorial line. Besides another important factor is that Peruvian Pima is handpicked which results in fewer imperfections in the yarn. It is very prized all over the world as a luxury fiber, with a very soft feel and brilliant luster. It is a super fine raw material for the manufacturing of clothing directed to the most demanding consumers who search high quality, durability, extreme comfort and elegance. 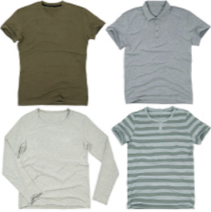 We manufacture all type of knitted garments such as T-shirts, Polo Shirts, Tank Tops, Sweatshirts, Pants, Dresses, Underwear, Baby Clothing, Pajamas, etc. We have the capacity of producing from basic t-shirt to full fashion garments. 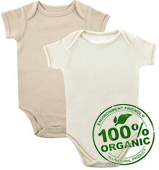 Among the knitted garments line we also produce adult and baby garments made of Peruvian Organic cotton qualities: 100% Organic Pima Cotton and 100% Organic Tanguis Cotton. *GOTS Certified. We produce high quality sport garments such as polo or golf shirts, t-shirts, sweatshirts, jackets, pull-overs, etc, made of special performance fabrics and with special features like Wicking, UV Protection, Anti-Microbial, etc. 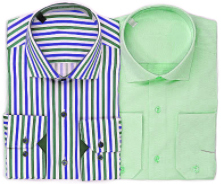 We are capable of producing high quality woven garments such as Dress Shirts, Blouses, Dresses, Boxers , Pajamas, Jackets, etc. made of the highest quality Pima Cotton woven fabrics. For woven garments we offer very low minimums due to we provide a wide stock of different fabric types and colors. 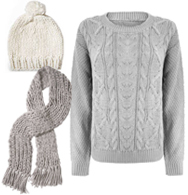 We also produce knitwear such as fashion sweaters, cardigans, beanies, scarves, etc. For Knitwear we offer very low minimums due to we work with a wide varierty of stock yarns such as Baby Alpaca, Cotton, Viscose, Acrylic and several mixed yarns. We offer OEM Service directed to companies that require a fully customized product. All our productions are made to order according customer's specifications. As part of our Full Package Program, we offer a fully finished product that includes everything needed to receive the products just ready to sell! Technical Specifications Documents including Technical Details of the Fabric, Design and Construction Details, Trim Placements and Specifications, Pattern Assembly Details (including machine requirements), Garment Dimensions per Size, Details of Print/Embroidery designs. Ship to us a physical sample so we can replicate it, from the Fabric, Design and Construction Details, Assembly Details, Dimensions, everything you may require. MINIMUM ORDER QUANTITY (MOQ): 1000 pieces. Minimum per Fabric Type: 500 pieces. Minimum per Color: 500 pieces. Minimum per Style/Cut: 500 Pieces. Minimum for Printing or Embroidering: 250 pieces per design. *Minimums based on adult garments and commercial/available yarns. Cotton Qualities: Peruvian Pima, Supima, Tanguis, Imported. - Commercial Yarn Counts: 10/1, 20/1, 24/1, 30/1, 40/1, 50/1, 60/1. 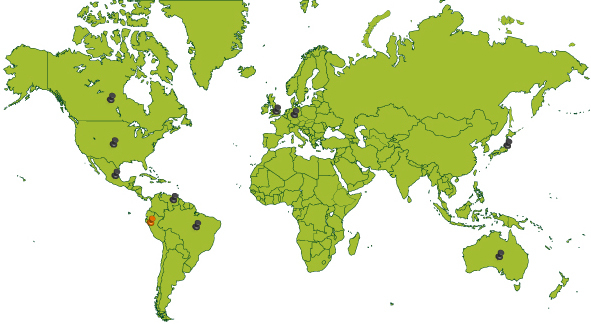 - Also we can produce any other yarn count by request, but with different minimums and lead times. Other fibers: Modal, Polyester, Nylon, Acrylic, Rayon, Viscose, Tencel, Silk, Alpaca, etc. Minimum per Style: 400 pieces. Minimum per Color: 200 pieces. Av. Ricardo Palma 836 Dpto. 202, San Antonio. Calle Crisolita 171, Santa Aurelia. Copyright © 2017 PIMACOC EIRL. All Rights Reserved.